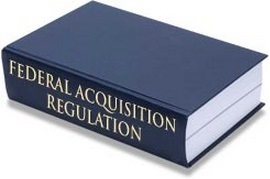 The Civilian Agency Acquisition Council (CAAC) has authorized federal agencies to issue class deviations from the Federal Acquisition Regulation (FAR) to raise the dollar thresholds on micropurchases and simplified acquisitions. The higher thresholds are $10,000 for micropurchases (up from $3,500) and $250,000 for simplified acquisitions (up from $150,000). Authority for these changes stems from the 2018 National Defense Authorization Act (NDAA). The CAAC memorandum “is effective immediately, and remains in effect until the increased thresholds are incorporated into the FAR or is otherwise rescinded.” The FAR Council has opened FAR Case 2018-004 to address what the 2018 NDAA has to say about these thresholds, and the CAAC memo authorizes civilian agencies to adopt their own class deviations while the FAR Case is pending. The Council is responsible for: Assisting the General Services Administration in developing and maintaining the FAR System by developing or reviewing changes to the FAR; Soliciting the views of agencies, associations, and other interested parties on those proposed changes to the FAR; and Coordinating its activities with the Defense Acquisition Regulations Council (DARC).